W.J. Boettinger, C.A. Handwerker and U.R. 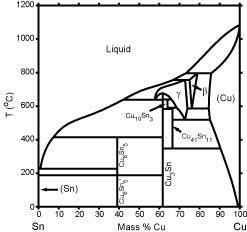 Kattner, "Reactive Wetting and Intermetallic Formation," in "The Mechanics of Solder Alloy Wetting and Spreading,", Eds. F.G. Yost, F.M. Hosking and D.R. Frear, Van Nostrand Reinhold, New York, NY, USA, 1993, 103-140. 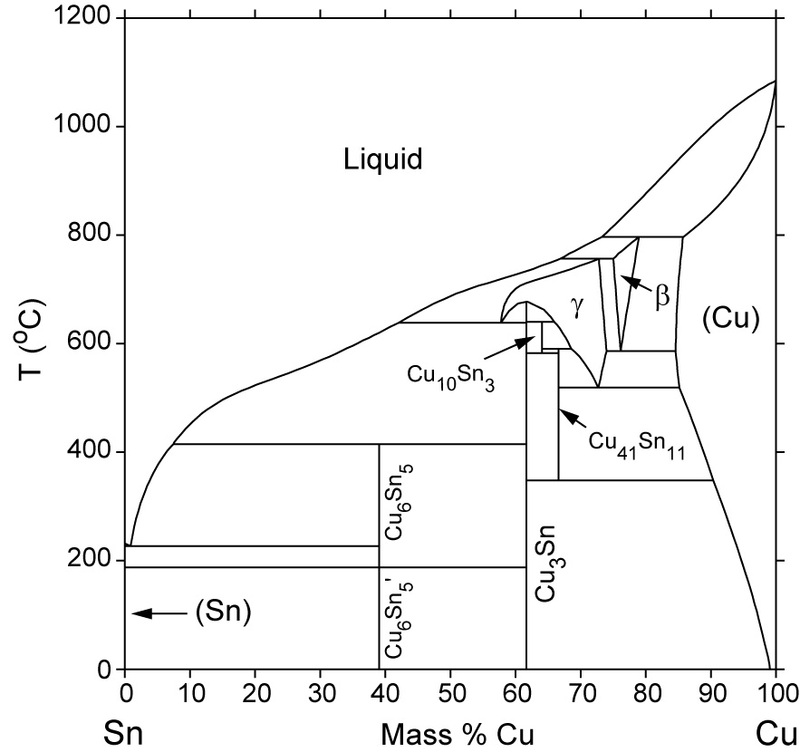 (Cu-rich intermetallic phases not included).